A book of haiku in Italian by Oscar Luparia. All rights reserved. This book is duplicated here with the kind permission of the author. 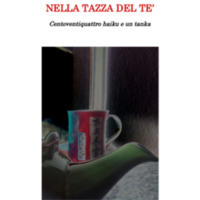 Luparia, Oscar, “Nella Tazza del Te',” The Haiku Foundation Digital Library, accessed April 25, 2019, http://www.thehaikufoundation.org/omeka/items/show/5601.